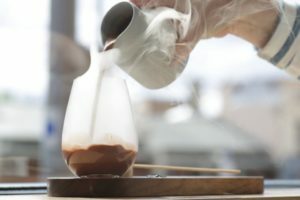 I had the great pleasure to talk with the store manager Rochelle Godwin at Mörk Chocolate about how they use the Breville|Commercial Smoking Gun Pro to create their renowned theatrical (and now BuzzFeed-famous) Campfire Hot Chocolate: a smoke-enhanced hot chocolate that you’ll smell before you see! A Smoking Gun Pro charged with Beechwood produces the smoke responsible for the campfire element of this drink: a smoke-filled stemless wine glass, served with a handmade pottery beaker of hot chocolate, volcanic salt and a blow torched marshmallow on a stick (your edible spoon). It’s mouth watering just thinking about it! So, tell me about the origins of Mörk? 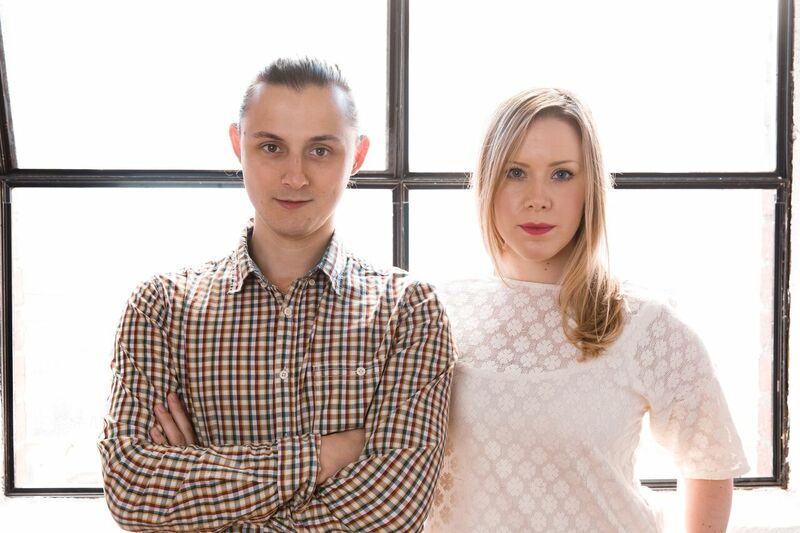 Husband-and-wife team Josefin and Kiril founded Mörk chocolate as a wholesale company in 2012. 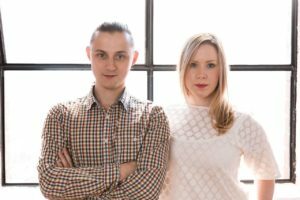 They originally met in Sweden, where Josefin comes from a chocolatier back ground and Kiril from a barista background. 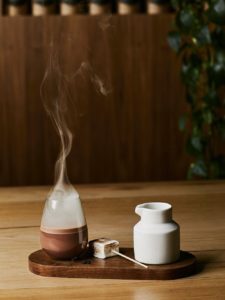 When they arrived in Australia Josefin and Kiril realised that the chocolate scene in Australia was full of over sweetened drinking chocolates and there was little of the deeper, more savoury adult experience of cacao that they were familiar with from Europe. Mörk means ‘dark’ in Swedish, and their product is found in many of the leading coffee roasting houses and serious cafes in Australia. But if you want the full experience, then you need to visit the Errol Street shop front in North Melbourne. I was greeted with a big bright smile and an insistence that I must have a hot chocolate even though I am dairy intolerant. The offer was a choice Mörk chocolate mixed with house made hazelnut milk, macadamia milk, oat milk, or coconut oat milk spiced with cardamom and cinnamon. 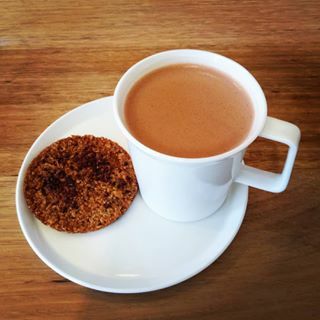 I chose the ‘Whole Nut’, which is a dairy free, gluten free, hazelnut hot chocolate served with a wafer-thin hazelnut biscuit made of the hazelnut meal used to make the milk, mixed with cacao nibs, pressed into a mould and baked. The moisture from the milk process and the oil in the nuts bind it together to make a super thin crisp wafer and zero waste. The wafers are not sold on their own as they have to make the hazelnut milk to make the wafer. 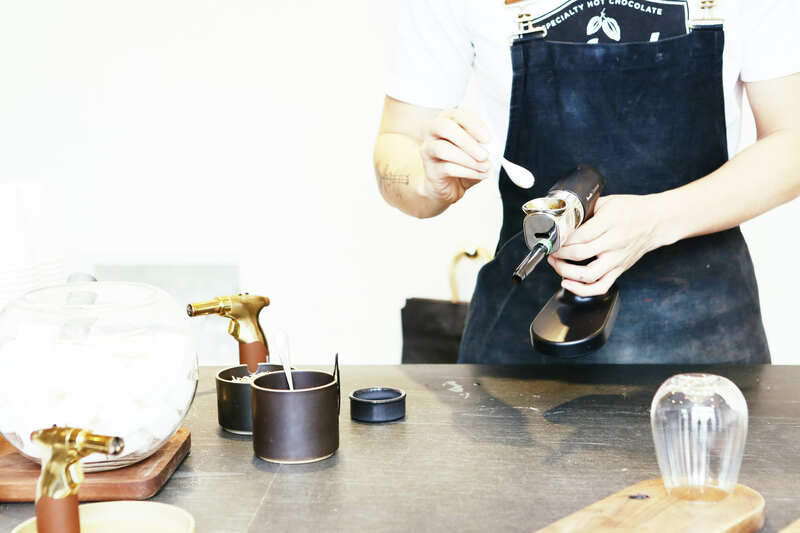 The team at Mörk strive for zero waste, which is impressive. 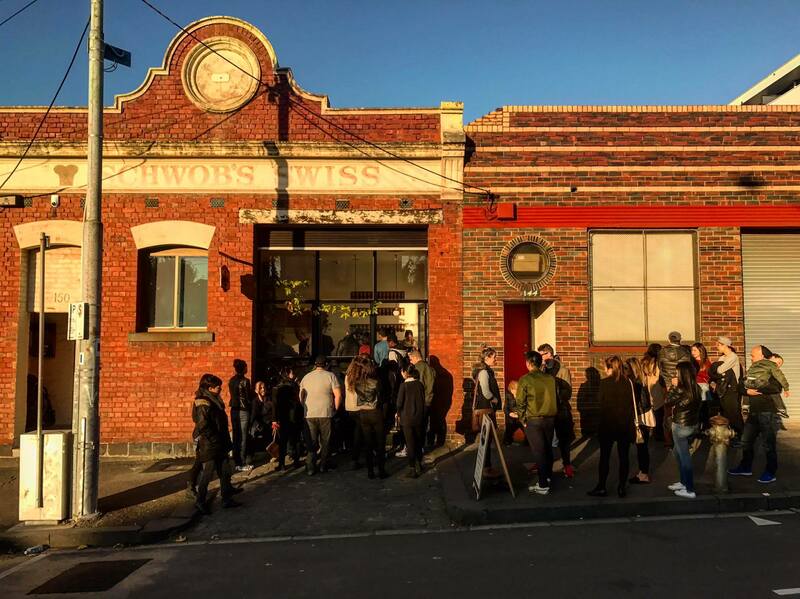 How long have you worked at Mörk? I have been with Mörk almost two years. So yes, I have made lots of Campfire hot chocolates during this time. Campfire Chocolate was created using the Polyscience Smoking Gun. 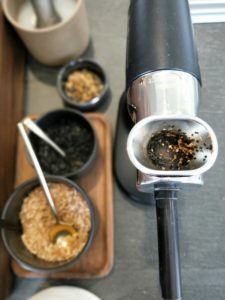 Why did you move to the Breville|Commercial Smoking Gun Pro? With the old Polyscience Smoking Gun we use to have three smoking guns on rotation. We were always anxious that it would stop working in the middle of a rush, and every morning we had this arduous routine of cleaning them. 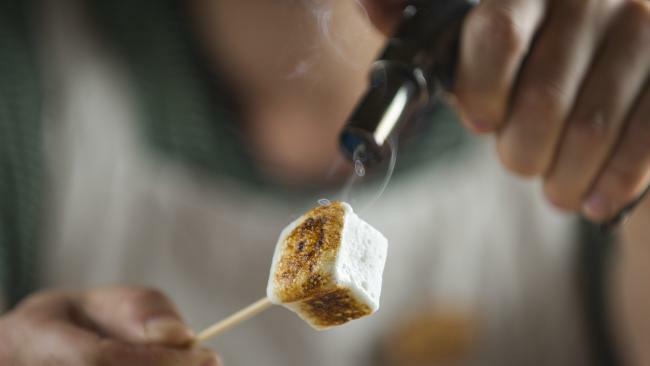 Then after BuzzFeed picked up the Campfire Chocolate clip, the video went viral with over 21 million views. The Polyscience Gun was too hard to use to meet the demand, so Josefin knew we had to do something. The new gun from Breville|Commercial is one hundred times better! With the old Polyscience Smoking Gun we used to get stains on our hands and fingers, while the Breville|Commercial Smoking Gun Pro is clean to use and so now are our hands too. We are now just using the one Breville|Commercial gun. The other one has still not come out of the box, and we have it as back up. 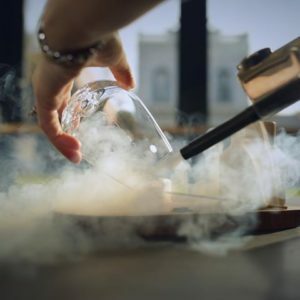 The Breville|Commercial Smoking Gun cleaning is so much easier too. At the end of each day we twist the stainless-steel barrel off and put it through the dishwasher. We replace the mesh filter about once a week and that is it. Throughout the day the oils that come out of wood as it burns do not taint the quality of the smoke giving a cleaner white smoke. You also don’t get any of the darker colour from the oils, and it has a lot more power which is awesome when you have to make a lot of campfires. The extra power means it is quicker to light, faster and cleaner to use. Where did the idea to smoke a hot chocolate come from? For Josefin, campfires are a nostalgic experience of Sweden that translates well to the Australian life style. The drink is interactive and has all the childhood memories of campfires and toasted marshmallows. When BuzzFeed picked up the Campfire Hot Chocolate we were making over a hundred a day. It has slowed a little more recently with around 40 a day on weekends and 20-30 on the quieter weekdays. On a busy day the room fills with this heady sent of chocolate (of course), together with caramelised sugar from toasting the marshmallows and a faint cloud of Birchwood smoke. It’s so reminiscent of late nights camping. It is nice to see some of the other amazing beverages and treats at Mörk gaining some interest as well. Be the first to know about the latest sous vide products and accessories, plus we'll share product reviews, tips, exclusive discounts, and the best sous vide recipes for you to enjoy.